These are the essential accessories I like to buy for my Fujifilm cameras. I’ve listed several options of various products I have used and trust and I’m always adding new items to these pages. If you find anything you like out in the wild that you think should be on this list, send me a comment and I’ll check it out. Screen protectors are a must have for any camera and are always the first accessory for every camera I use. ExpertShield is great because they give you a lifetime warranty and they honor their word. Great company and great screen protectors. See the Best Memory Cards For The Fujifilm X70 to find out which memory cards perform at which speed and which are the fastest. As a quick summary here are best UHS-I memory cards. There are a lot of great third party batteries for the X70, but these are the top performers. If you want a UV filter you need to order one of these hoods and adapters. You can ignore the hood and just use the adapter if you only want the UV filter which is what I do on my X100T. These come with the adapter ring that allows you to use the 49mm UV Filters. The Nano filters I’ve found stay a lot cleaner. There are not yet a lot of leather cases for the X70. I’ll post more as they become available. For straps there are so many options and I’ll share what I know and what I use. For my bigger cameras I use the Luigi’s Deluxe Strap and the HardGraft Reprocess strap. I love them both. Hardgraft makes other amazing straps as well. There are a few other brands out there but I’m not very familiar with them or haven’t used / seen them in person. But here is a list of a few leathers straps I have used and like. This is a pricey piece of equipment but it’s pretty cool. If you want the classic OVF feel, this should be a lot of fun. The Microfiber cleaning cloths are very useful. I use these regularly and go through them like socks. The Rocket Air is nice to get dust and debris out of those small cracks. Also, Q-tips work great for cleaning out those cracks but I won’t list those here since I’m sure you already have some. 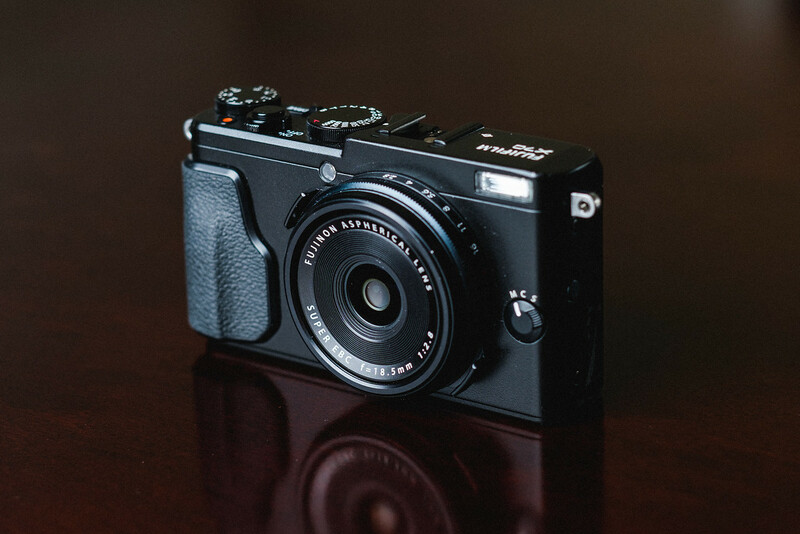 The Fujifilm X70 is a great little camera with fantastic options for accessories that allow you to really personalize the camera so that it’s one of a kind. Batteries, screen protectors and memory cards are essentials, but there are also some great accessories that allow you to expand the capabilities of your camera like Lens Converters and Optical Viewfinders. I’ve been looking into that.